How many times have you come across this situation? Your sales team (one or several) complains daily about crappy quality leads or no leads at all. And, they keep nagging about your online advertising strategies…are they working? (with a frown). TRUTH BOMB: Most of the advertising campaigns tend to fail. Google Adwords celebrated 15 years, and it’s interesting to check popular searches from 2001 … failure, you said? Potential consumers for your products and services are searching the net for solutions to their problems every day. It’s very “intent” driven. AdWords is a perfect method to get in front of these customers at the exact moment in their buying cycle. In fact, AdWords can be one of the greatest sources of new leads for your business, small or large when used correctly. When speaking of AdWords, many newbie advertisers assume that the consumer will click on their ad, show up on the site and convert into a lead for their sales team. But, as mentioned …it doesn’t happen this way in reality. Even though AdWords is an awesome advertising method, it is also one of the most complicated systems that take a great deal of effort for a newbie marketer to succeed. In fact, there are so many marketers where obtaining a new lead causes dread instead of excitement because they find the lead isn’t qualified. This is why it is important that you learn some of the most important current PPC tips to obtain highly qualified leads from AdWords. This article provides a comprehensive overview of 8 current PPC strategies to get quality leads from AdWords in any niche. If you are getting unqualified leads from your AdWords campaign, your keywords are the first thing that you should take a look at. There are so many paid as well as free tools available to do keyword research. The AdWords Keyword Planner is an easy to use and free tool for this purpose. Brainstorm a list of keywords that you think is relevant to your market. You should be selecting general keywords as well as keywords that are specific to the market that you cater to. Dump this list into the Planner, and you will get an expanded list of keywords along with important data such as how often consumers search for them and how competitive the keywords are. Review this list carefully and eliminate all keywords that aren’t relevant to your business. 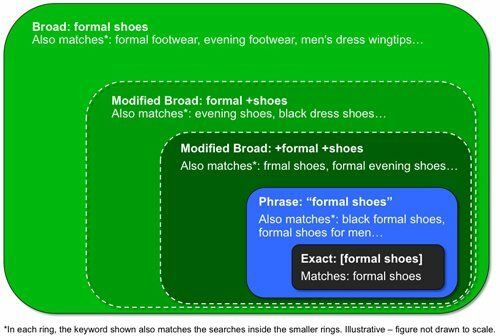 This is the basics of keyword research when planning your AdWords campaign. Most of the time, newbie marketers go with broad-match keywords, which is one of the main reasons that they get unqualified leads. This keyword type offers the search engine a great deal of leniency in determining the “relevancy” of the searched queries. If a marketer bids on “red shoes,” the broad-match could show your ad when a customer searches for “ruby slippers.” This makes perfect sense since ruby is considered a shade of red and slippers would go on your feet just like shoes. The search engine algorithm can get away with such type of match when the marketer has selected the broad-match option in his or her AdWords campaign. This is a sure-fire way of landing unqualified leads on your webpage. This is why it is important that you go with the exact-match option whenever possible. Adding terms that are not relevant to your business as “negative keywords” is also a good practice to get quality leads from your AdWords campaign. Do not just throw in the researched keywords in AdWords. Make sure to create a good Adwords structure. You need to organize them into campaigns and ad groups properly. You also must test the ads, and against each other (A/B testing). Segmenting your keywords into campaigns/ad groups will make it easier for you to analyze the data later on. Make sure your ad text is specific to the keywords within an ad group. This means, you should get ready to write a lot of ad group specific ads. Each ad group should have an ad text which specifically mentions the topic of that ad group. This is very important to improve the Quality Score of your campaign, which will help attract more targeted customers to your business. At the outset of a campaign, you’ll do a lot of testing and it should never stop. If your business is operating within a specific geographic area, make sure to set your campaign to show your ads to the searchers within that specific area. If not, you are going to end up paying for clicks from customers who you cannot provide the service. Excluding unwanted geographies from your ad campaign is important to improve the lead quality. Think in terms of your potential customer. When will they most likely search for your product or service? It can be during the morning hours, while they are at work or after work. For example, if you operate a plumbing service, it can be during any time of the day or whenever a plumbing emergency is discovered. If you are in the B2B (business) environment, you might test during morning hours and certain business hours and not on weekends. But, you should test this. Always. This is why you need to set your campaign to show the ads at the right time so that your targeted customer can see the ads. This will definitely help improve the quality of leads you get from the AdWords campaign, and it will help budget management (the fee you pay to Google). There are many examples of misleading AdWords ads on the net. The majority of these ads are not targeted to the keywords that the marketer is promoting. Such ad copies are a complete waste of your advertising dollar. Be careful about creating too much “brand conversation” (keywords or ad copy that your searchers don’t use). Understand your audience, and make sure to speak to that conversation. Often we see experienced leaders in marketing succumb to this, and their ad campaigns fail. You will definitely attract unqualified leads under such circumstances. Make sure you have your main keyword in the ad title as well as ad copy. The ad should be enticing and inviting the right customer to click on it and explore your website. Continue testing, and understand that you will not have success overnight. Patience is a good keyword here, pun intended! Many marketers lose highly targeted leads due to disappointing landing pages. If your ad makes a promise, make sure that your landing page delivers on that promise. If your landing page promises a free consultation, you should make sure that it is given to the potential customer. These are very important points to generate highly targeted leads to your business. While you A/B test ads, you should also consider testing pages. How will you know what the best ad click to landing page conversion rate should be for your market? Test it. You can filter low quality leads to a certain extent by adding qualifiers on your AdWords ad. A qualifier can be a simple sentence on your ad such as “We only lend to customers with at least a 15% deposit”. This will help filter the low quality leads and pass highly targeted leads to your landing page. Structure your headline, description and display URL according to text limits. Check the make up of adwords ads. And, make sure to not engage in bidding (cost per click) wars either. You’ll lose. This is the latest trend in the industry. Mobile has overtaken desktop devices where customer searches are concerned. Optimize your AdWords campaign for mobile devices since it is easier to convert mobile users who click on your AdWords ads compared to traditional customers. This article provides a comprehensive overview of eight current PPC tips to get high quality leads from your AdWords campaign. Your sales teams will start to breathe a little easier now. It will also help increase your ROI and profits in the long run.